Professional athlete David Beckham is now a whiskey man. The former Galaxy star and the creator of American Idol, Simon Fuller, teamed up with British liquor company Diageo to release Haig Club, a new single grain Scotch whiskey. 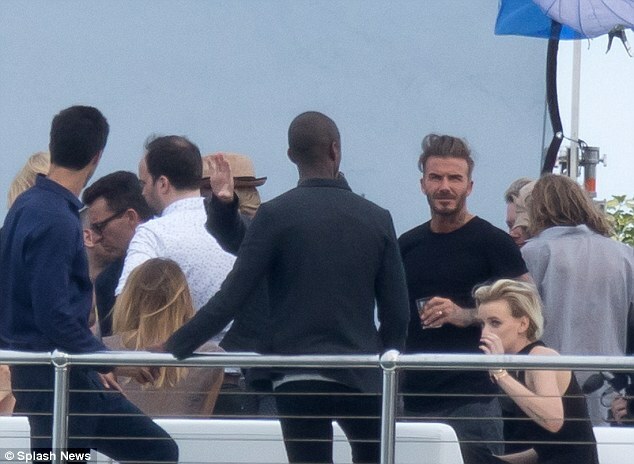 They filmed their exclusive Haig Club whiskey commercial featuring David Beckman aboard the luxurious floating event space, SeaFair mega yacht in Miami. 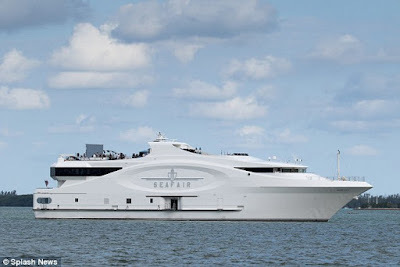 The uber-luxe 228-foot megayacht, SeaFair, offers the ultimate excursions where sea and sky converge with the glamour of iconic Miami. With different types of event space SeaFair can be tailored perfectly for your event. The $40M purpose-built yacht was designed by internationally acclaimed yacht designer Luiz De Basto. At 228 feet and 2800 international tons, it is the largest ship built for commercial operation in the Intracoastal Waterway. 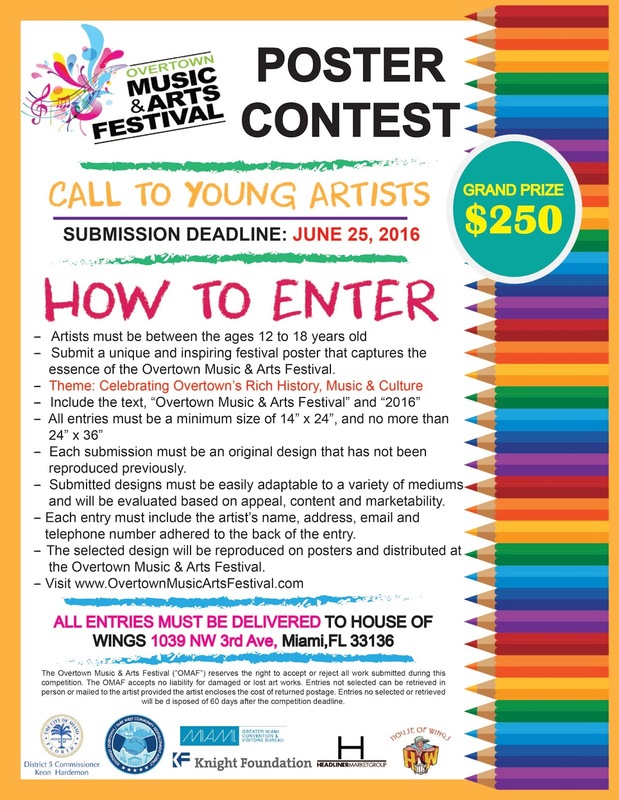 Overtown Music & Arts Festival is looking for local artists to participate and create a great piece of art that represents the cultural history of the Overtown community; Grand Prize is $500 - submission deadline: June 25, 2016. Miami's Historic Villa Paula Calls for Local Artists to Participate in a Plein Air Competition June 20-25. 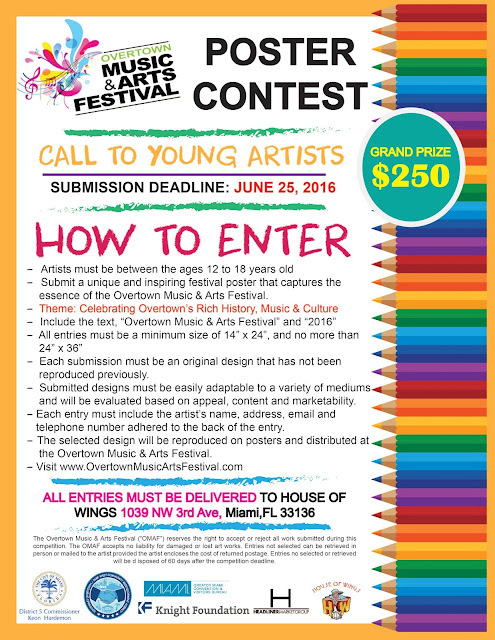 The historic Villa Paula, known as The Jewel of Miami, invites artists to participate in a Plein Air Competition June 20-25, 2016. The competition will culminate in the awarding of jury prizes and an exhibition of the artworks at the Villa Paula on Sunday, June 26th with $1000 in prizes to be offered. The first prize winner will have his/her work featured on a poster for the newly restored Villa Paula. Invented by the Impressionists, En Plein Air is a French expression meaning “in the open air” and is used to describe painting outdoors, which involves all of the senses. Artists create a painting expressing the mood of a scene which often includes not only the sights, but also the sounds, temperature, atmosphere and changing light. Participating artists are required to paint on location at the Villa Paula between Monday, June 20th and Saturday, June 25th. The Villa Paula grounds will be open for artists from 9am until sunset. Free parking is available. 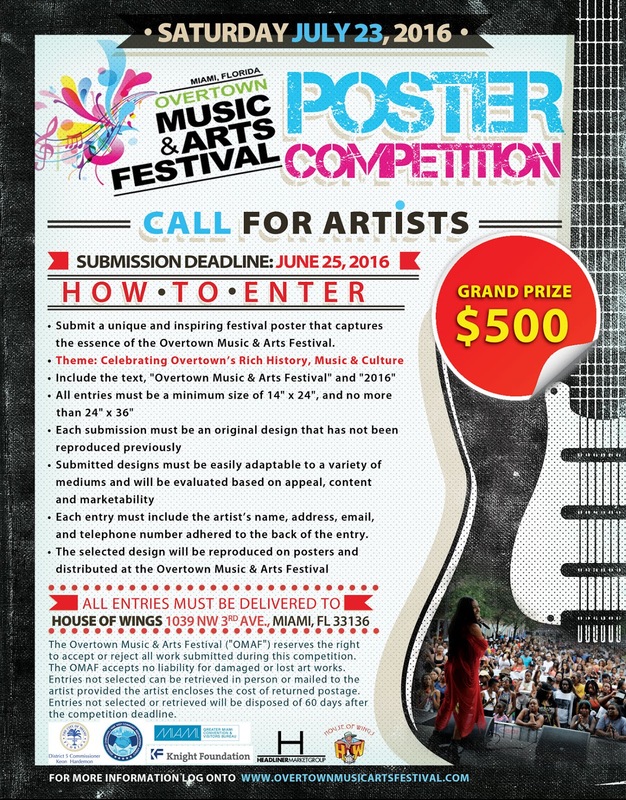 Registration is open to all artists, 18 years or older. Media choices include: oils, acrylics, watercolors, gouache, pastels, charcoal or pencil, and mixed media. Artists must bring their own supplies and easels. The completed work of art must be no larger than 24 x 36 inches. Each artist must submit a piece that is ready for hanging – matted, framed, or stretched – for an exhibition and jurying no later than 5pm on June 25. The historic Villa Paula is located at 5811 North Miami Avenue in Miami, Florida 33127. The public is invited to visit the Villa Paula Sunday June 26, when all submitted artworks will be on display and the winners will be announced. Visitors will be able to tour the inside of the lovingly restored home to discover works by international and local artists. There will be a reception from 7pm until 9pm. Pre-Registration for the Plein Air Competition is required. Are You a Professional Visual Artist Looking for Exhibition Opportunities During ABMB 2016? *Call To Artists* --> Are you a professional visual artist interested in exhibiting your work during Art Week in Miami? MAS has access to a variety of exhibition opportunities available for artist projects during Art Basel Miami Beach Dec.1 - 4, 2016. Call is open to all styles, mediums & genres from all local, national and international visual artists. "New pictorial language" is Natalia's project for Macau residence at Fundacao Oriente, starting on June 22nd with the making of the exhibition in a live painting method and with the opening on June 30th at 6pm local time. We need to bring new types of creation to painting, beyond new techniques, materials, alternative methods; providing innovation to the artist in a completely new environment, a collection of works based on these influences. The creation of this collection is made with open door, so the visitor experiences the creation process through live painting. Visitors are invited to watch the entire process from the beginning to the end of the work's creation as the gallery displays the entire collection. The evolution of the exhibition will be shared daily in the social network pages of the artist(s). 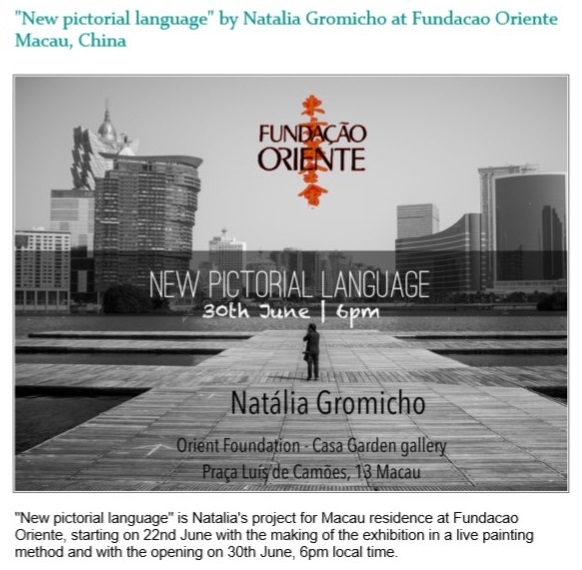 Arriving to Lisbon, Natalia will present a selection of paintings that were presented through her travels from India to East Timor, from Shanghai to Singapore, essentially a passage through Orient. “From Occident to Orient” will be showed at Museu Oriente on June 22nd at 6pm local time. This the first time that a Museum requires Natalia´s works, a recognition of her 20 years career and also for her devotion to the art. All coordinated by an unusual discipline. " Words from Natalia to express her feelings about the Orient. Multitalented artist, Natalia Gromicho studied painting at the Faculty of Fine Arts and School ArCo in Lisbon. Celebrated 20 year career last year, it is one of the Portuguese contemporary artists more prominently, having represented Portugal in several international exhibitions, such as in Italy (The largest exhibition of human rights in the world - "Human Rights Exhibition") in Brazil (the largest exhibition of South American architecture and Art - "Casa Cor São Paulo"), Australia ( "Adelaide Fringe Festival") in Miami ("World Tour Exhibitions Contemporary Artists"), in London (Hay Hill Gallery), New Delhi (Cervantes Institute), Dili ( "Human Rights" exhibition the Portuguese Embassy and Timor Orient Foundation), Russia (State library Moscow), Singapore (exhibition, auction and representation by Artz Space), France (Commemoration of the Day of Portugal at the Consulate of Portugal) among others. Natalia Gromicho has his work represented all over the world, highlighting Portugal, Brazil, Spain, United States, England, France, Italy, the Netherlands, Australia, United Arab Emirates, Singapore, Shanghai, India and East Timor. Today, marks the 27th anniversary of the June 4th massacre, as Chinese Troops killed unarmed civilians trying to block the military's advance towards Tiananmen Square. American photojournalist Jeff Widener made his way into Beijing, and documented the civil unrest that was occurring in the city. He has a unique story that describes how he made this iconic photograph, nominated finalist for the 1990 Pulitzer Prize, which has come to represent the single individual alone, standing up against the power and force of a determined military action. 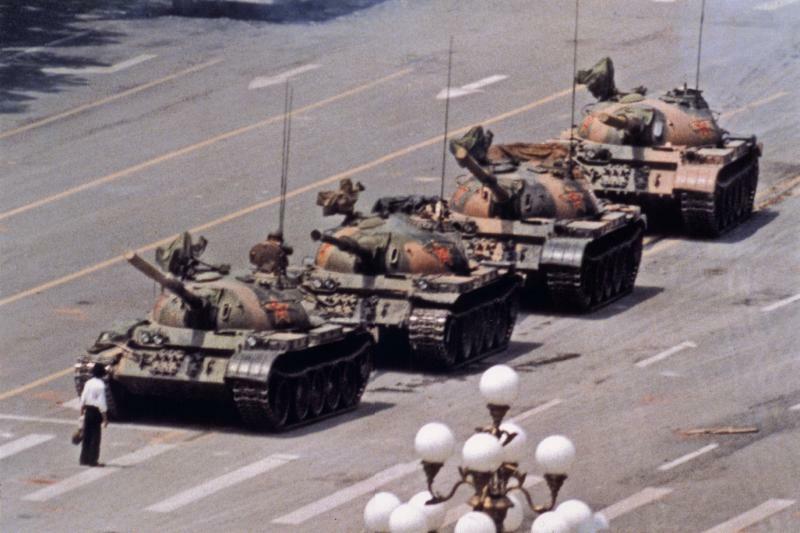 "My picture of a lone man stopping a column of tanks is a classic example of being in the right place at the right time. In fact, the photo almost didn't happen. I had a bad case of the flu and on June 4th, 1989 I suffered a serious concussion from a rock that was thrown by a protester. To top it all off, I almost blew the shot due to the shutter speed of the camera being too slow. The Chinese did not want me to enter the country as a journalist, so I entered the country through Hong Kong as a tourist. The picture was made possible with the help of an American student named Kurt, who allowed me access to his hotel room. He then smuggled the film back to the AP Beijing office in his underwear. The next day, I received telegrams from all over the world that my picture was fronting newspapers [on the cover of newspapers] in every country. To this day, the fate of that lone man is unknown." -- Jeff Widener, February 26th, 2006. Please contact the gallery for additional details. Our friends at the Living Gallery have invited us to host the Wednesday June 8th Drink & Draw. Come have some wine and paint a live model to benefit public art in local communities! All skill levels welcome. We are here to build a stronger community through art! Celebrate local gallery owner Christopher Stout's birthday on June 12th! Come for the subversive art, delectable wine, and engaging dialogue. Invite your friends and support the #SAVEARTSPACE mission - providing local artists new and unique opportunities to display their work in the public space. Celebrate the One Year anniversary of the installation of Foreplay by Napkin Killa! This is the affect that saveartspace has on communities, public art by the people for the people.